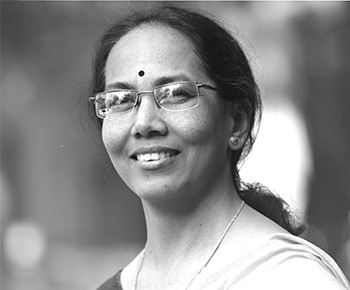 With an academic background in Electronics and MBA, Archana Kulkarni moved to the field of math educati on 16 years ago. She is one of the senior resource persons working with QUEST, heading the remedial program , Saksham . For the educational videos filmed by QUEST, which are also used in Shikshak Courses, Archana conducted most of the live classroom sessions with students. She is also actively involved with SCERT for the development of educational material.